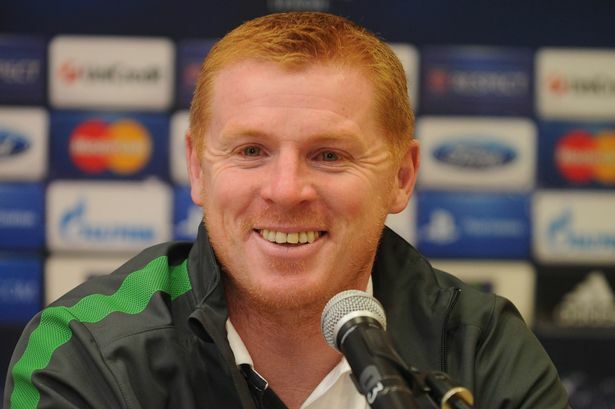 Celtic boss, Neil Lennon provided a moment of light hearted humour in his latest press conference following the Scottish sides 4-1 victory over Motherwell. Lennon was interrupted by a mobile phone which began to ring halfway through an answer to a question regarding his team’s performance. The phone turned out to belong to the chief football writer at The Herald newspaper, Michael Grant. After Grant’s wife hang up the initial call, the press conference continued and normality seemed to have resumed. However, not deterred by the strange bloke from Northern Ireland answering her husband’s phone, Grant’s wife Sharon rang again, to which Lennon once again obliged Grant and answered the second call. With all the perceived rigors and stress of modern football it was refreshing to see that Lennon still has a sense of humour and was able to have a bit of friendly banter with the media, who are often seen as ruthless and unforgiving at press conferences. Would we see Sir Alex Ferguson or Arsene Wenger having this sort of light hearted exchange in a Premier League press conference? Probably not, but there is always a place at all levels of football for priceless moments like this.